Milan Fashion week is fast approaching and the world of haute couture is about to go into a frenzy. This mysterious and glamorous event where celebrities preen near the catwalks watching the models as they debut next season’s designs is our perfect opportunity to see what trends will make their way from the catwalk onto the streets, and we don’t mean pret-a-porter. More and more fashion designers are no longer reserving their creativity and inspiration for the garment industry, but are applying their fashion flare onto the world of cars. Can you say color-blocking and textures? Lamborghini and Versace have a history of working together and these two alluring Italian luxury brands are a perfect match. The Lamborghini- Versace collaboration yielded the Lamborghini Murcielago LP640 Versace Edition, launched in 2006 bringing the flair of the Milan's Fashion Week to the Paris Motor Show. Produced as a Roadster and a coupé version, this is the rarest limited edition Lamborghini ever produced. The car features a custom monochromatic paint job available in Isis White or Aldebaran Black and completed with the Versace Green key motif on the door and upholstery. Inside, it features a stunning black and white interior featuring nappa leather on the instrument panel, doors and center console. 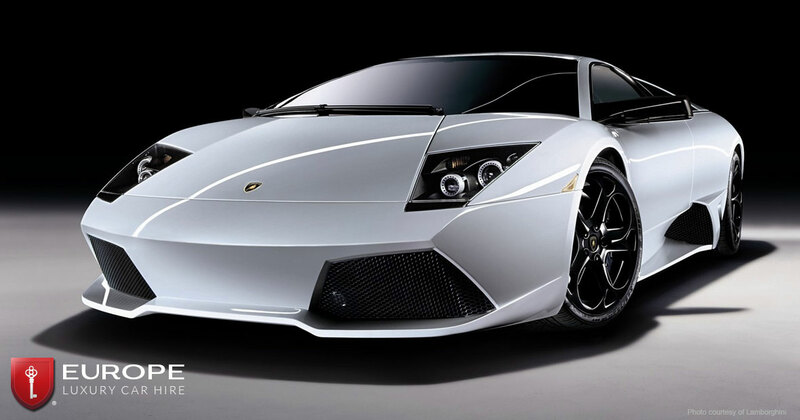 Under the hood, it is powered by the same 6.5-liter V12 as the regular Murcielago LP640 producing 640 hp at 6000 rpm. Exclusive on the Versace edition, the car comes fitted with specially-designed black Herma wheels. Each Versace LP640 comes with a custom fitted luggage set which include the serial number and owner's names engraved on a palladium-finished brass insert. A pair of calfskin driving shoes and gloves are also provided. With a shared design philosophy that celebrates modernity, performance and innovation, Paris-based British ex-pat Stella McCartney and Jaguar, two very prestigious British luxury brands, teamed up to create the FEEL XE Experience. The collaboration features a fleet of luxury Stella McCartney inspired Jaguars draped in her distinctive Superhero print from her Spring 2015 collection. The Stella McCartney- Jaguar collaboration gives the XE line a playful and dynamic exterior that meshes well with its high-class interior. The superhero clad XEs were first featured during Paris Fashion Week and used to transport VIP and celebrities, and then during the Paris Auto Show. "I love branching out of fashion," said McCartney a few hours after the show had ended. "And I love that they're a heritage British brand. There are many things that I feel are kind of exciting about two British brands from different disciplines working together like that." Following the unveiling of the Mercedes-Benz CLK Design show car during the 2003 Milan Fashion Week, Mercedes-Benz and Giorgio Armani announced the start of a new joint cooperative venture to launch the limited edition version under the brand’s Designo range. The exclusive special-edition CLK-Class Cabriolet personalised by the renowned Italian fashion designer features an Armani-trademark paint in a warm sand tone and an interior of high-quality materials to match. Exuding Armani’s philosophy of style, elegance, innovation and quality, the Armani-style CLK Cabriolet leaves almost no wish unfulfilled with regard to its features. "We very quickly found a common language," said Armani. "It was fascinating to see how Mercedes-Benz turned my design ideas into reality with such attention to detail. I think the result speaks for itself." We’ve come a long way in car making since 1976, when Ford Motor Company introduced its Lincoln Mercury Mark V Designer Series, a car-couture collaboration with four luxury fashion design houses: Cartier, Givenchy, Bill Blass and Pucci, but collaborations between car manufacturers and fashion designers have been around for decades. Today, designer cars are still an appealing crossover for fashion designers, a way to market their name to wealthy consumers and a way for wealthy consumers to show their loyalty to their favourite designers. In 2008, car manufacturer Bugatti partnered up with French leather goods house Hermés for the limited edition, by special request only, two-toned, $2 million dollar plus Bugatti Veyron Hermés. In 2013, Land Rover launched the Range Rover Evoque with Victoria Beckham, In 2014, Chrysler and John Varvatos teamed up to design the Chrysler 300C, and in 2015 Maserati and Ermenegildo Zegna are launching the Maserati Quattroporte. Stay tuned to see what this upcoming Milan Fashion Week taking place February 25th to March 3rd 2015 will have in store for the winter-fall line of designer cars. Meanwhile, if you happen to find yourself in Milan during Fashion Week, book your luxury car through Europe Luxury Car Hire and make a fashion statement that will make heads turn.